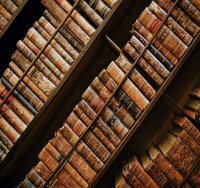 As a resource for Ontario lawyers, the practicePRO program’s lending library has over 100 books on a wide variety of law practice management related topics. You may borrow a book in person or via e-mail (to be delivered and returned by courier). The practicePRO library is located in our office at 250 Yonge Street, Suite 3101 in Toronto and can be visited during our regular business hours (Monday to Friday, 8:30 am to 5:00 pm). We invite you to come by anytime to peruse our selection. Please call or email in advance to arrange a time, and so we can confirm if a particular title is available or on loan. To have a book delivered to you please send an email to [email protected] with the name of the book, your name, LSUC number and your mailing address (only lawyers called to the bar in Ontario can take out these books). We will ship the book to you via courier at no charge, and it will be your responsibility to ship it back to us at your cost within three weeks. If the book is already on loan, we will reply letting you know the date on which it is expected to be available. If a book is not returned, or returned in poor condition, we will invoice you the cost to replace it. In order to ensure the books are as widely available as possible, loans are limited to one book at a time.